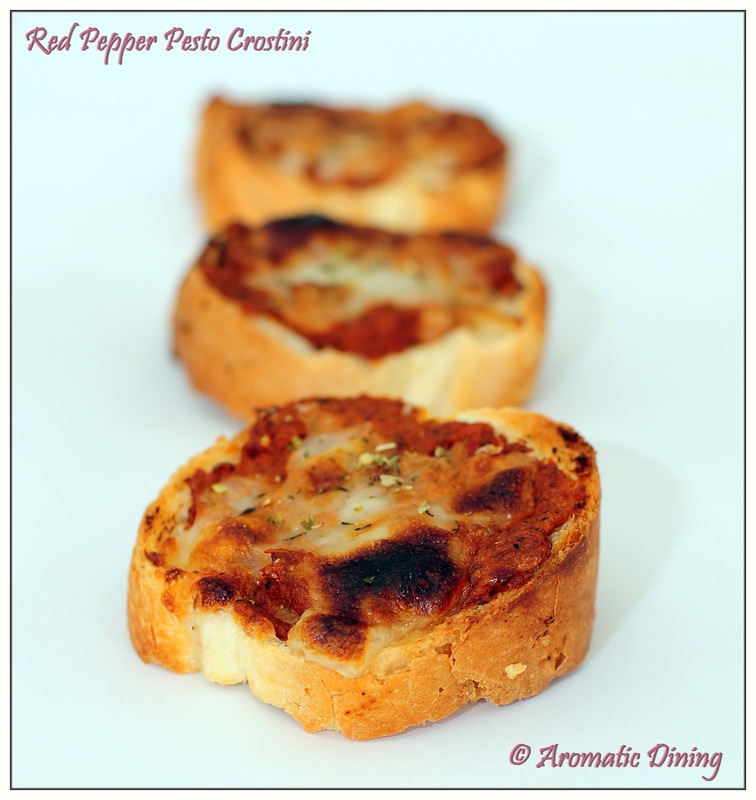 This is a yummy monsoon treat recipe. Soups are very comforting during rainy days. In here its been heavily pouring since a week. I couldn’t think of anything better than this delicious bowl of soup. And that too when you make it at home then definitely you are in heaven.. The herbs makes the soup flavorful and aromatic. It’s so easy and versatile. 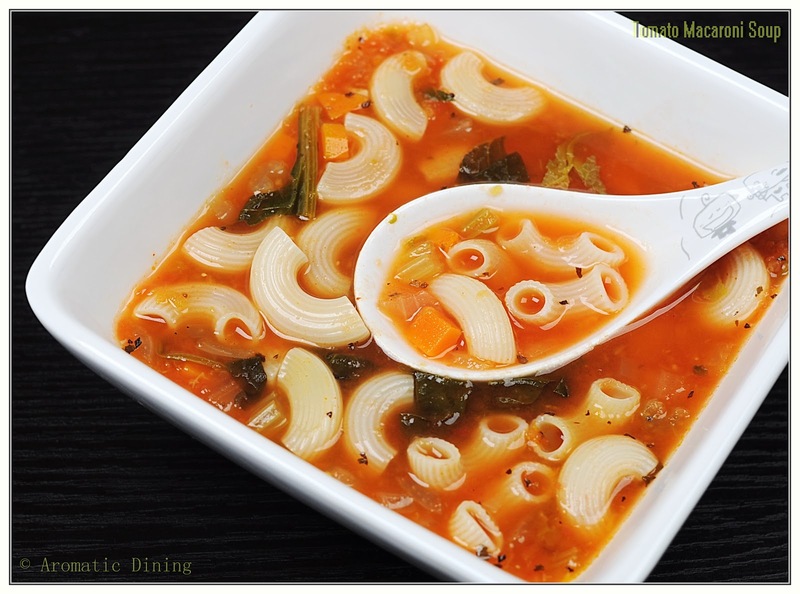 Try this soup recipe with different pasta or just the soup. I have added spinach which is totally my idea. You can also try adding kale or any other greens. Customizing your soup is not difficult. And most people end up making soup when they need to clean up their refrigerator 🙂. 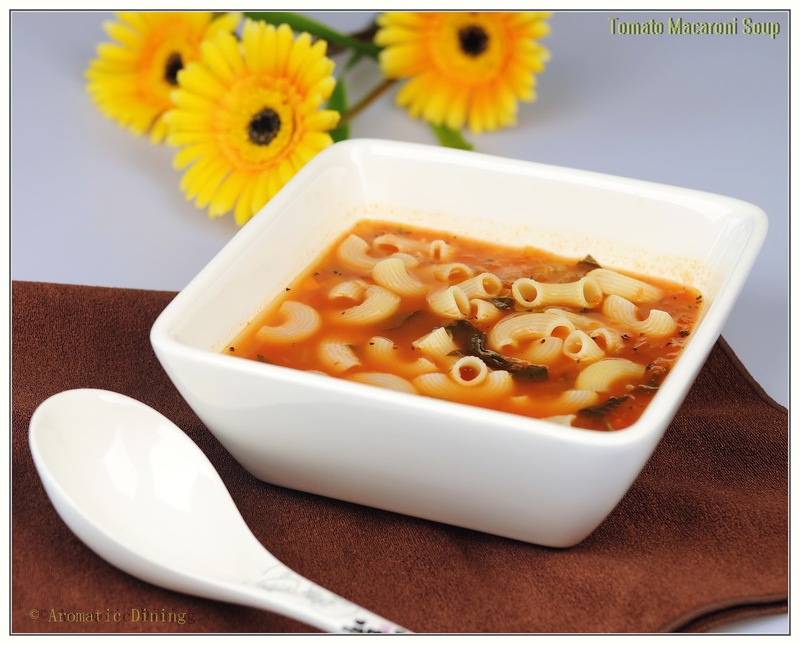 Are you ready to ladle your soup into bowl, swirl and slurppp 😉 ???? completely and keep aside. It took me around 10 mins to cook them. broth/water, crushed tomatoes, chopped carrot, celery and salt. close the lid. Cook for 15 mins or till the vegetables are soft. 5. Add the spinach. Stir for few secs and cook for 10 more mins. 6. Season with pepper powder. 7. Add the cooked macaroni to the soup and give a stir. 8. Turn off the heat and garnish with fresh basil and shredded cheese on top. 1. You can also use any other pasta instead of macaroni. 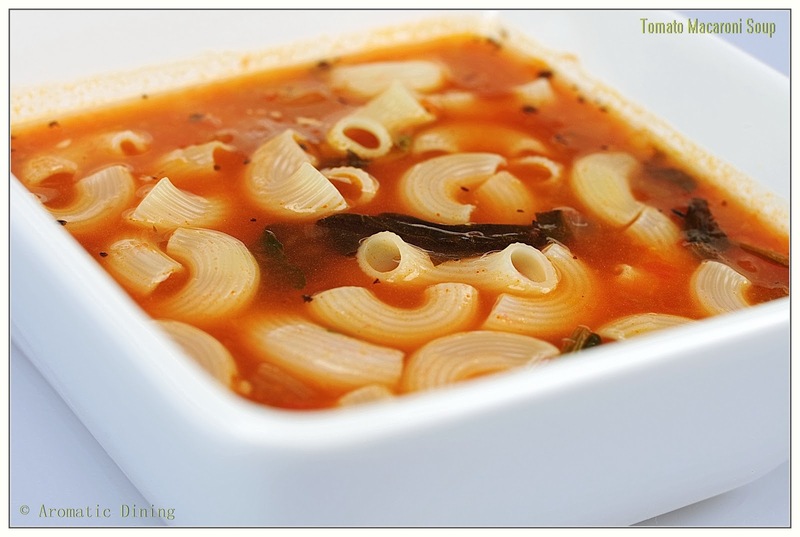 soak well and reduce the quantity of soup making it thicker. It’s been a while I made this luscious appetizer. This is one appetizer never be left lonely on the plate at the end of a meal. 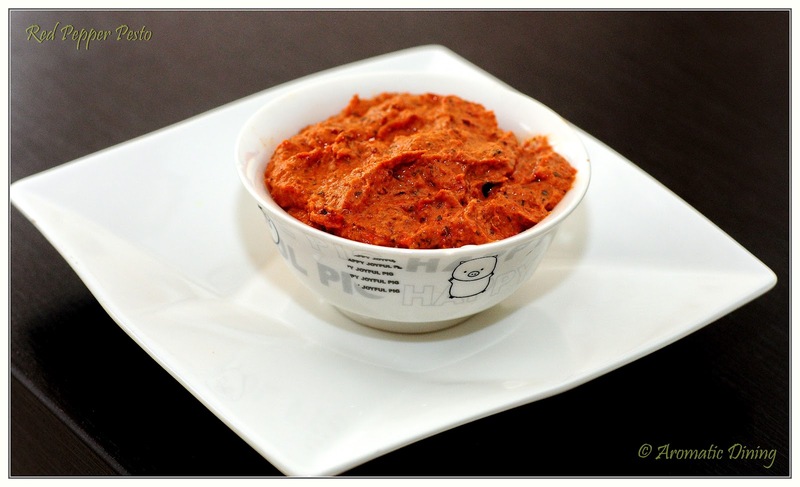 Creamy & nutty red pepper pesto is divine, comfort & lip smacking sauce I ever made. 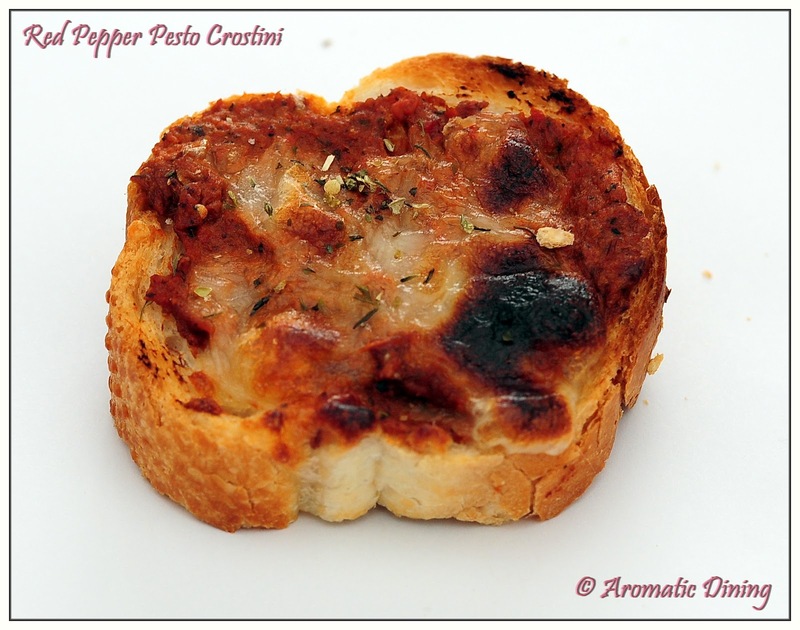 Goes well with pasta, as a dipping sauce and in crostini. The roasted red pepper adds more flavor to the pesto. Never be lazy to roast the pepper. Whenever I see the vibrant red peppers I just dream of the pesto I used to make long back when we were in North China. You find ample quantity of red pepper there. I used to make in large quantity and freeze them for later use. Here in Guangzhou I see them on & off. So I bought them last week when I found them in farmers market. Slice the baguette (Narrow French stick loaf) into thick slices. 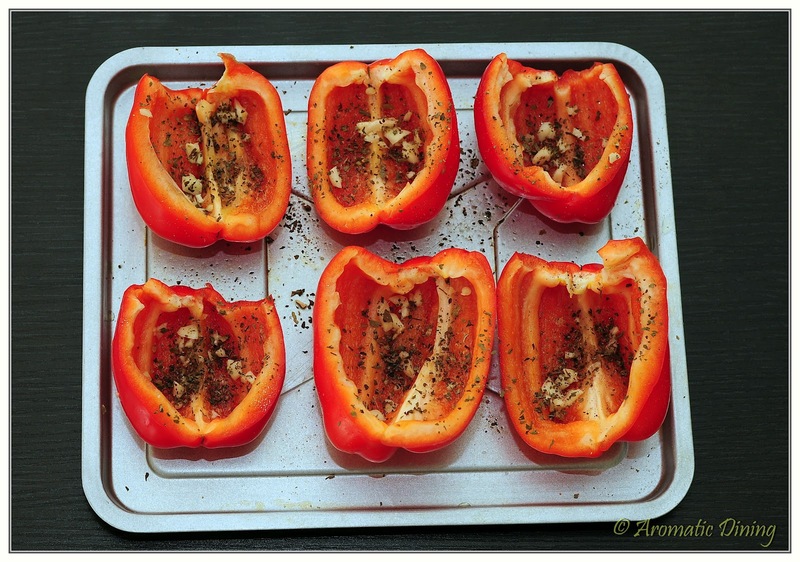 Preheat oven to 210° C.
Wash the red peppers thoroughly, cut into halves and remove the seeds. Place the peppers on the baking tray and sprinkle half the quantity of following ingredients : olive oil, finely chopped garlic, basil, salt & pepper on the top. Bake for 30 mins or till the peppers are roasted well. Transfer to mixer jar along with walnut, Parmesan cheese, and remaining olive oil, chopped garlic, basil, salt & pepper. Blend them to a rough paste. 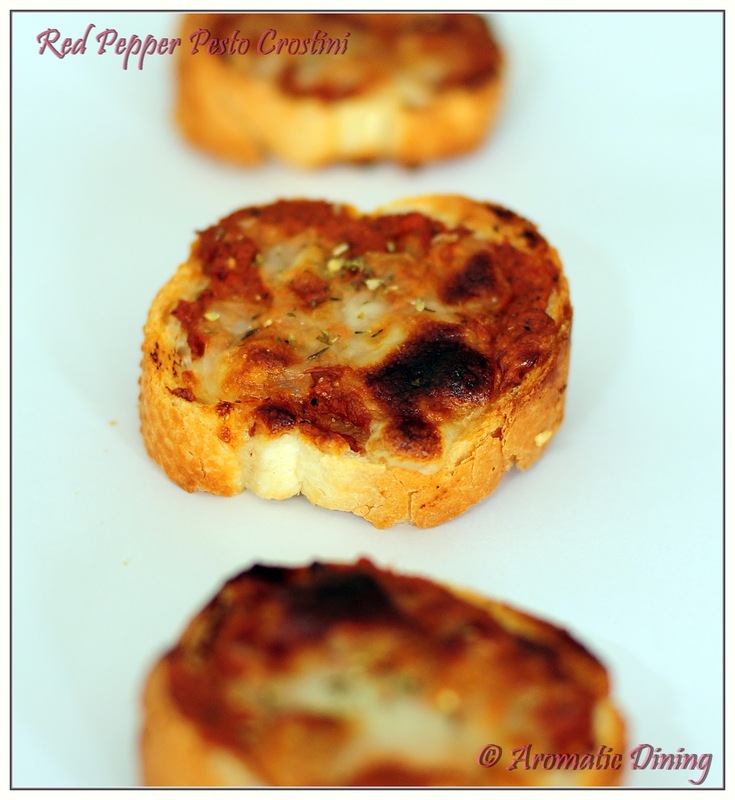 You can toast the baguette slices first and top with the pesto and mozzarella cheese. Or else top with pesto, cheese & basil and toast till cheese melts. Tastes good when used fresh basil. Since it is unavailable in here I have used dried basil. You can try with different nuts like almonds, pine nuts etc. instead of walnut. If you would like the pesto more heavy add more cheese/cream. Also discover some unique flavors by including different Italian herbs. 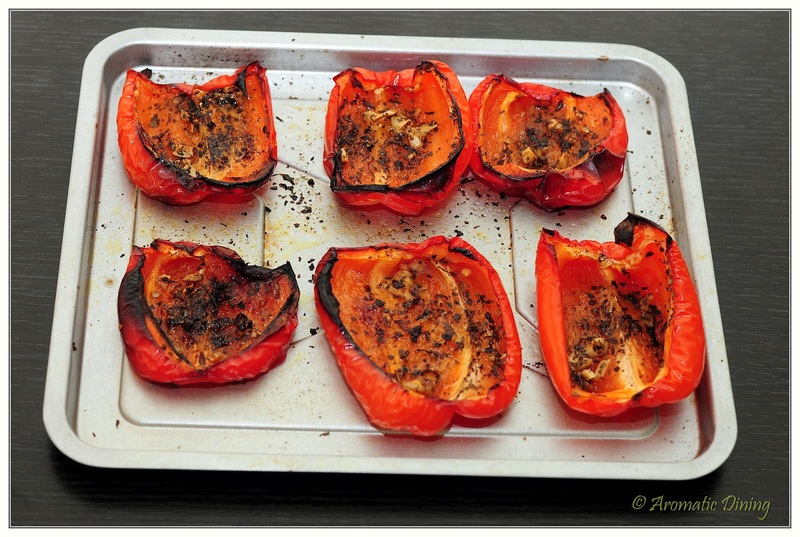 You can also roast the pepper on direct fire. This pesto goes well with pasta too.